I work for an NGO which has adopted a local municipal school in Mumbai; it runs the school by providing a full support to the municipal corporation in terms of teaching staff and other administrative assistance. I work as a social worker, who was sent by our organisation for the community training on narrative therapy by Ummeed Child Development Center. As a part of the training we had to practically apply what was taught during the sessions in our respective schools which I too did. I am presenting below the narration of my experience of how I worked with a child using externalizing conversations a technique in Narrative therapy. Jaffer (name changed) is a 5year old child studying in SR.KG. Mostly he was seen out of the class during the teaching hours and that was a big concern to both the teachers as well as the social worker after it was discussed in one of the staff meetings. On observing his patterns of behaviour – like playing mischief in the passage/corridor and troubling the other classes. He also troubled kids passing the corridor by teasing and hitting them. He also showed a lot of aggressive behaviours like hitting kids in the class, slamming or kicking the doors, along with the other furniture in the room, throwing bags and books of other kids etc. In the process I also found out that he would never follow the class rules and had a lot of anger. This was briefed to me by the class teachers and also by my personal observations. To know more in-depth about him it was necessary for me to know his behaviour back at home. On studying and investigating further about his family details which incorporated home visits too, I got to know more about him and his family. Jaffer lived in a slum which is built on the pavements of a street, which was too small, maybe around 8×7 feet. The family consists of his parents and paternal grandmother. The mother is a home maker but at times she picks up odd jobs occasionally, and father works in a private company and is also a drug addict. There is a lot of domestic violence in the house and the relationship between the husband and wife is also not so great. There is a lot of abusive language that is being used in the house as a part of the regular conversation. His friends were older to him and he mixed up only with the older boys and not with kids of his age. After knowing all the information about his family and all the inputs from the teacher and my personal observations I decided to work with him in the school using narrative therapy as that was a better space to have one on one conversation. There was in all 5 sessions that I was able to have with the child in two months time period excluding the home visits and rapport sessions. I started by working on the anger and the behavioural patterns. The main focus for me working with him was how to integrate Jaffer in the regular class, help him manage the anger and also improve the behaviour. The very initial stage while working with him was by building up a rapport. Knowing the background and his retention levels I had to come down to his pace. So the process of rapport building was whenever I saw him in the corridors, I would go up to him and have general conversations like- how come he was out of the class? What happened so on and so forth? But in the whole process I would never compel the child, to go back to class as the others would do when they saw him out. In fact I would join him in the task that he was involved in, like finding paper pieces, chocolate wrapper, stones, sticks etc. This caught his interest that someone was also interested in the task that he was doing and gave him some importance. So eventually he began to share things and opened up about his likes and dislikes. He shared his love for origami, and making creative things from paper which was a fascinating task for him. This led me to begin conversations around the anger; the conversations were facilitated by questions using the narrative ideas of externalisation. How do you feel when the anger comes to you? When anger comes what does Jaffer do at that time? How does Jaffer feel when the anger comes to him? How does it look like? What is its colour? Can you draw it for me? On the basis of the questions asked he named his anger ‘Singham’ a character from a Bollywood movie. His behaviours were associated to that of ‘Singham’, like he would slam the door so on, like the ‘Singham’ did in the Bollywood movie. He drew some pictures, in which he drew a man bold and strong red in colour and called him ‘Singham’. What happens when Singham comes to you? When he comes what does he make you do? What effects it has on your relationship with your friends and class teachers? He described the following things as response to the question- he said that when Singham comes he would hit, run, slam the door, bang the door and not listen so on. Due to this he said that his friends went away from him and said he was a bad boy. Everyone perceived him as a bad boy and would keep him away as he would not listen. He somehow believed the character of Singham was positive and hitting all the made things good; but he never perceived the trouble ‘Singham’ would bring. Whenever Singham came to his life, his anger would increase and so he would trouble his teachers and the rest of the class. The aim of the conversations was to explore the effects of ‘Singham’ on his life. Do you want to keep Singham as a part of your life? So when Singham comes are you happy? How should Singham go out of your life? 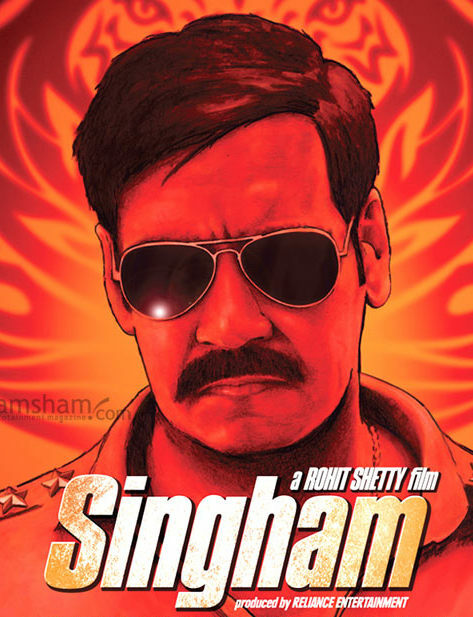 Are there any times and situation when singham does not come to you? Jaffer felt he wanted Singham in his life. But he felt for the good things and not just for anything like the way he did; due to which he was considered a bad boy. He began to realise in the process of the conversation that the hitting and rough behaviour could hurt and harm someone who were totally innocent. To the second question he answered that he was happy at times when Singham came. To the fourth question he answered that when he would be with his dad Singham would never come to him. Some of the positive outcomes that were seen in Jaffer are that he realised this behaviour of hitting and disobeying was not always right. Now in the class he explains what a bad behaviour could result in. The teachers use his example to explain to other kid who misbehave and thus is a positive role model to them. His overall behavioural patterns have changed, he rarely comes out of class or hits anyone, he has began to sit in the class and listening to the teachers, focusing on what has been taught in class. He often gets back to me after class and tells me what he has learnt for the day. he narrates all that has happened in the class. He uses his free time in doing origami and teaches his friends, teachers and me, if he has learnt anything new. 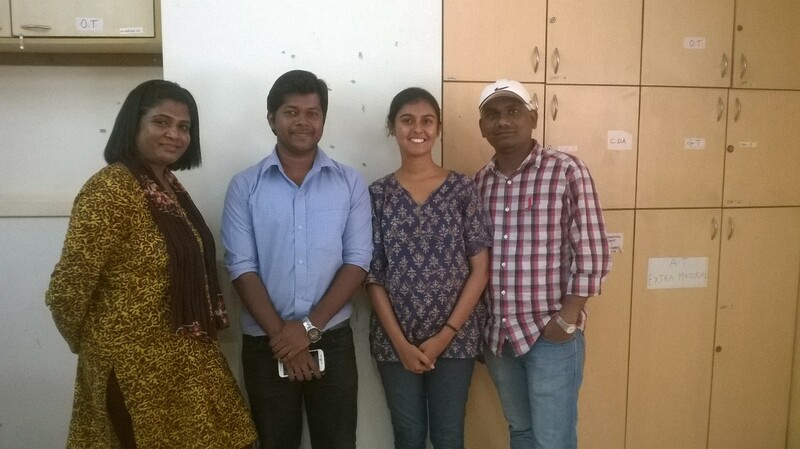 The story was written by Aurene, Sadashiv, Christine and Sumedh. They are social workers who are part of Ummeed’s Community Mental Health Training Programme.